Pollyanna Grows Up, ISBN: 9781843915522 - available from Nationwide Book Distributors Ltd NZ. In this sequel to the classic children's book Pollyanna, our beloved heroine continues to cheer up everyone around her with her sunny personality and relentless good humour. When we left Pollyanna at the end of the first book, she was trying very hard to stay positive after a car accident injured her spine and paralysed her. Now old fans and new will be intrigued to read about Pollyanna's miraculous recovery: she can walk - something she was assured she would never be able to do again!Now that Pollyanna's aunt has married kind old Dr Chilton, the newlyweds whisk Pollyanna off to Europe every winter and all three start to enjoy their newfound family. Pollyanna also has the chance to travel to Boston, and makes plenty of new friends as well as reuniting with her oldest pals. 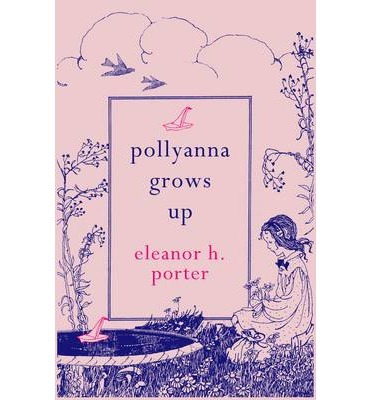 As Pollyanna grows up, she matures into a thoughtful young lady but never loses her characteristic spark of good cheer. Her goal in life is still to be glad under all circumstances, but with her aunt experiencing a tragedy and Pollyanna herself getting embroiled in a complicated love triangle, it will take a special type of person to come through it all with a smile on her face.Luckily Pollyanna is a very special young lady indeed.